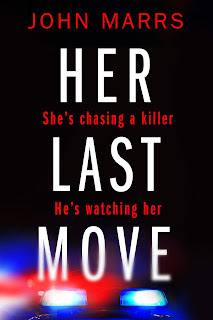 I was thrilled to be invited to take part in the blog tour for John Marrs' latest book, Her Last Move. This is one of those books that is sure to be so popular that we bloggers were rapidly hitting reply and typing 'count me in' the minute the invitation hit our inboxes, then punching the air when a date came through in the reply. 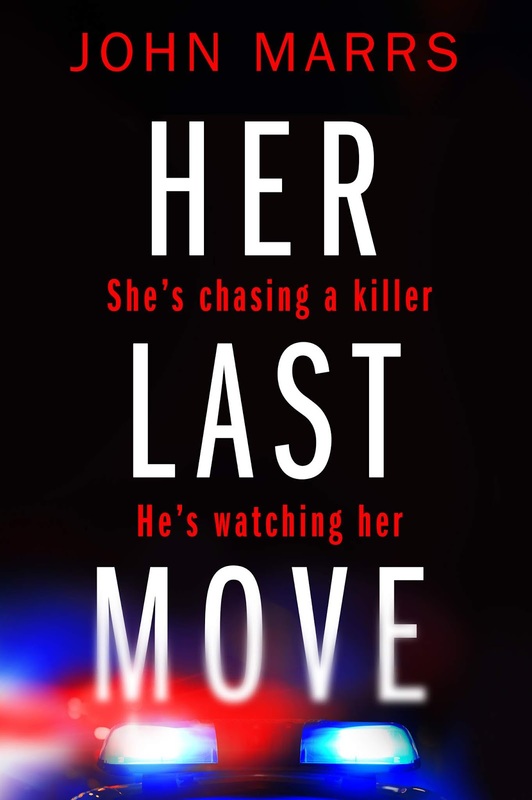 Even if I hadn't made the blog tour list, I would have been queuing up to read Her Last Move and when you read my review below, I'm sure you will agree that it is well worth reading. I was drawn straight into this book by the wonderfully inventive murder that plays out over the first few pages. I couldn't read fast enough to find out what the victim had done to warrant the attention of this ruthless killer. It quickly becomes clear that there is nothing random about the choice of victims and the police are in a race against time to catch the murderer before all the names are crossed off the hit list. I loved the dynamic of the two main characters: Becca and Joe. I was just feeling the sexual tension sizzling when John Marrs very cleverly pulled the rug out from under my feet, leaving my mouth agape. Both of them have very sad and intriguing personal stories to contend with which interfere with their jobs to varying degrees and at opposite end of the work/life spectrum: Joe can't stop looking for his missing sister even when it gets in the way of his job but Becca always seems to allow her job to take priority over her daughter. Becca's life reminded me of the saying that nobody ever lies on their deathbed and says that they wish they'd spent more time at work. Getting the work/life balance right is a difficult one and it was really interesting to see the effect that Becca's actions had on her daughter and her mum. I felt as if Joe is the opposite in that he would give up his job in a heartbeat if it meant that he could find his missing sister, Linzi. Of course, there are always two sides to every story and Joe is going to have to give his job up at some point in the near future so it perhaps makes his obsession easier to understand. The way the whole story plays out is just superb; I found it really difficult to put down and couldn't wait until I had time to pick back up where I left off. I loved the idea of the super-recognisers in the police force and had no idea of their existence. It sounds like something out of X-Men but it is very real indeed and they sound like an amazing secret weapon for the police to have. Well, perhaps not so secret now thanks to John Marrs! Filled with shocks and surprises, Her Last Move is a multi-dimensional story that thrills from start to finish and all the way in between. 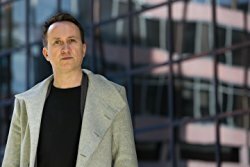 A highly recommended read and an easy 5 stars.